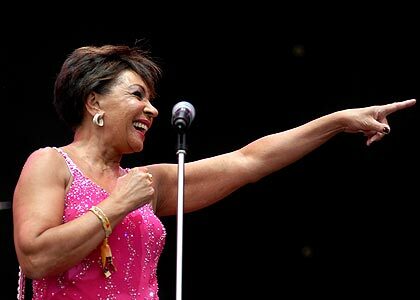 Shirley Bassey has dropped out of Nelson Mandela’s 90th Birthday Concert, which airs this Saturday night on ABC1. Bassey is recovering from stomach surgery, after being rushed from her Monaco home to hospital last month, suffering from abdominal pains. Doctors have instructed her not to appear at the event which will include other music acts including Queen + Paul Rodgers, Annie Lennox, Simple Minds, Jerry Dammers, Amy Winehouse, Sugababes, Razorlight, Leona Lewis, Jamelia and Eminem. Her spokesman Paul Carey said, “The Dame is hugely disappointed and was looking forward to the show immensely. ABC1 screens the event at 10:10pm Saturday night.